Okay, so you should really start promoting your course before it’s launched. But still, you have to keep the momentum going. Once its launched, you have to kick the promotion up a gear. Even if you’ve created a beautiful, functional, and effective eLearning course, you can’t leave it hidden in a dark corner, or buried somewhere in the murky underworld of your LMS. You have to COMMUNICATE it to your staff with a bit of an ‘elevator pitch’ as to why it’s worth doing. Oh, by the way, an automated email from the LMS with ‘NEW COURSE AVAILABLE’ doesn’t count. Sorry. But what other tools are available then? Well there are a number at your disposal, and knowing how to leverage them can increase learner uptake, course participants, and ultimately provide a return on investment for your business. Our preferred media are blogs, emails, and newsletters. Make sure your emails are regular (but not too regular!) and post on your company blog (if you don’t have one, make one!). Remind your audience of why they should take the training, what it’s designed to do, and more importantly, what’s in it for them. As with anything, keep it short, sweet, and simple. For longer publications like newsletters and blog articles, don’t shy away from a bit more detail. 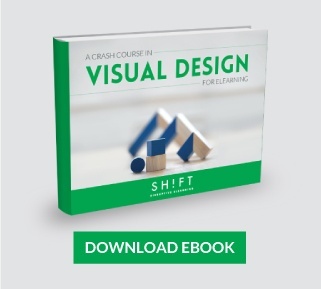 Still keep it simple, but explain a few more reasons why you’ve designed the course, what it’s for, and the derived benefits for the learner and the company. The audience reading these longer-form articles will already be a little more invested, so they won’t necessarily go ‘too long; didn’t read’ as quickly. For something a little more off-the-bat, and with a little more budget, consider running a competition. These are great ways to inspire your staff to get on with their training and try your eLearning course. A monthly prize draw for learners who complete the course within a given time frame for example, or a prize for those with the most hours of training logged. Incentivizing a little never hurt anyone, right? Another important point is to emphasize the importance of active learning. Active learning allows students to become involved in their learning, relate the content to their own (or others) experiences, and apply it to their daily lives. Here is an idea for getting your learners interacting with each other a little more, and sharing their learning experiences: Run a forum. Use it to discuss topics related to the eLearning course they are taking, related to other training, or related to what they had for breakfast! Anything will provide stimulation and communication, and that’s what we’re after. If you can hook a couple of thought leaders in your company to join the forum then all the better. Interaction allows learners to reflect on their opinions and encourages critical thinking. It enables learners to explore related issues and encourages constructive discussions among different types of learners with different ideas, priorities, and skillsets. Provides qualitative information and detailed records. This means that feedback can be more effectively tailored to the learner. Self-review. It’s important. Evaluating your eLearning course and receiving client and learner feedback is one of the most crucial tools you have at your disposal for professional development. If you don’t get feedback, or accept ‘everything was fine,’ then you’re missing out on a learning opportunity; something you’d never want your learners to do! We’ll keep this one short and sweet, but always remember to get feedback. A GREAT list of questions to ask your learners is available here. Level of satisfaction: What do learners think and feel about the training or eLearning course? Do they like it? Do they hate it? Knowledge: What knowledge, skills, attitudes, confidence or commitment were acquired by participants? Behavior change: Do participants use their newly acquired skills on the job? 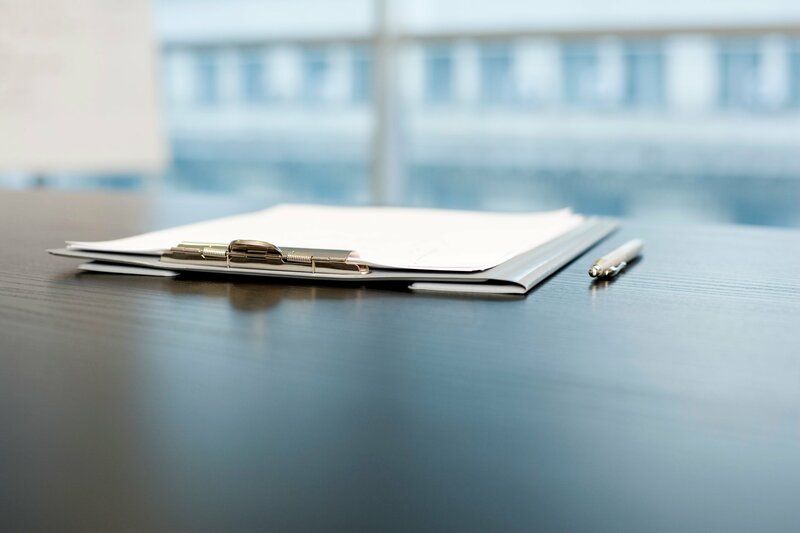 Business impact: Has the course helped improve business results? Circling back to what we said in point 3, you can also review the previous iterations of the course and the results – this process of ‘continuous improvement,’ tweaking and changing and comparing is a really smart way of moving your eLearning game forward. For instance, if the data reveals that most learners aren't completing the eLearning course because they think it is too difficult, then the designers can make the necessary modifications to change this situation. 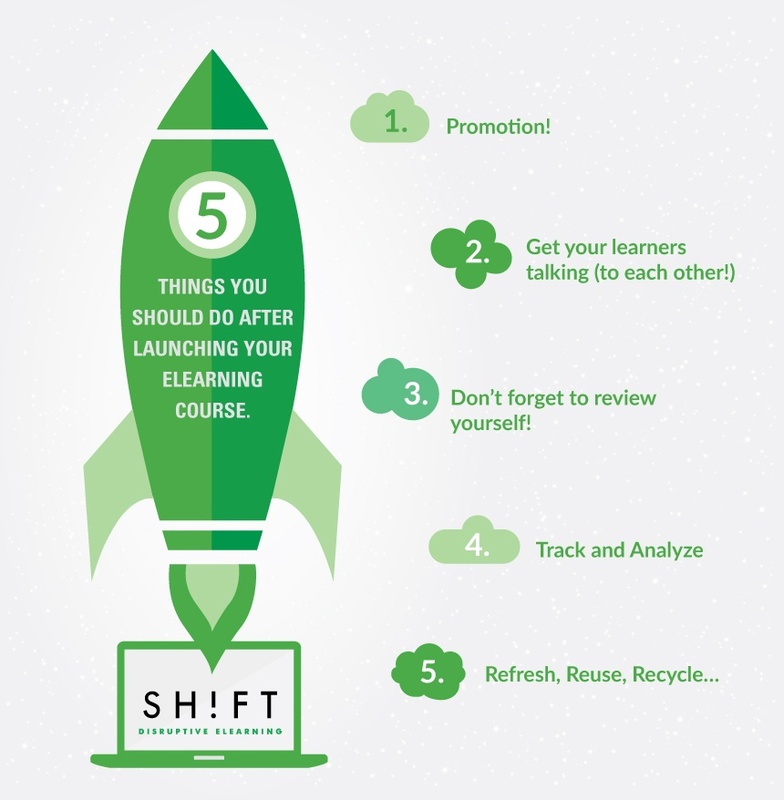 Read more: Do You Know How Successful Your eLearning Program Really Is? Of course, learners tend to forget things over time. We all do, just like I can’t find my keys in the morning…or in the afternoon, or the evening. Anyway, in teaching we refer to ‘reuse and recycle’. This means that every 3 to 6 months, or in a cycle of your choosing, you can choose a way of reminding your learners of the content they’ve studied. This can be adapted depending on how vital the skills are – for instance, if your health and safety training program isn’t getting results and accidents continue to happen, consider recycling the course sooner! If you don’t want to recycle the whole course, however, then you can try using ‘microlearning’ as a refresher tactic. This can complement your existing program and give you a fun follow-up to your course. Try sending out a summary quiz, an interactive video, or even a short eBook a week or two after the course has finished, just to really solidify their learning and keep it fresh in their mind. So there we have it, the blueprint for success in ‘life after the eLearning course’. All you have to do is promote, get your learners talking, review, track, and refresh. Simple enough, right? Stay tuned to our blog for more information in all things eLearning – including more on ‘life after the eLearning course’!